Well, it happened. I don't know if it was a huge success, but I can at least say that I completed the challenge. I managed to get in a lot of games with Black-Green Energy, a deck that I was planning to play next weekend at GP Portland. 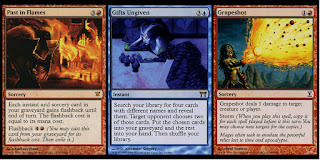 After a morning of fairly rotten results, I decided to switch over to a less synergistic, but more powerful deck. The new deck that I picked up seems sweet, and it's one that I'll enjoy playing next week even if I don't play particularly well. I'm not sharing my exact decklist yet, but I will say that it's based on this list. 13 new viewers started following my channel, which is far lower than what I'd hoped for, but not far off from what I expected. That pushed the channel over the 100 followers mark, and we'll do another 24 hour stream when we hit 200! Soda Dungeon is the perfect game to run during breaks. I tried not to take a break for longer than 10 minutes, although I think one of them went to 15. Soda Dungeon can run automatically so that viewers don't see an empty screen, and it isn't brainpower-intensive. Physically, this wasn't as big of a challenge as I expected it to be. I haven't pulled an all-nighter in years, and I was worried that I would be falling asleep on my keyboard. Surprisingly, I felt pretty good throughout the majority of the stream. Only the last hour or so was tough. I intended to play D&D as usual on Friday night, but my communication skills broke down with my group. At one point, a few weeks ago, I mentioned playing on Saturday instead of Friday because of the stream... but I also mentioned playing on 11/10 (the correct date). Somehow, in my head, I thought I had shared the correct information... but looking back at old messages, I was about as clear as mud, and my group wasn't ready to play at the usual time. OOPS! Next time, I need to communicate more clearly. I switched over to Skyrim in between games of Magic, and the game glitched - not giving me the soul from the dragon outside of Whiterun (which, in turn, means that the main storyline doesn't advance). I quickly googled a workaround, used a console command to "fix" the problem, but just couldn't force myself to keep playing after that irritation - especially since Skyrim was the backup game. Next time I need several backup games instead of just one. I... ummmm... need to stop saying, "ummm." One of my viewers pointed it out early on, and I challenged myself to be better. I'm not as bad with it while I'm commenting on game play (although I'm guilty there too), but when I switch over to talk about what's happening with future events on stream, or what games are coming up, or whatever... let's just say I get bad. The last hour was pretty miserable. I zoned out some, at one point I googled something, went down a rabbit-hole of reading articles, and totally forgot I was streaming. Despite some setbacks, the event was fun. I was definitely ready to crash by the end, but I'm looking forward to pulling this off again. The next time will be at the 200 follower mark! If you want to join in on the fun, and speed up the timeline for our next 24-hour stream, head on over to twitch.tv/theoutsyder83 and click "Follow!" 24+ hours of streaming... never thought I'd pull that off! That's right, folks. On Friday, November 10th, I'll be tackling the challenge of streaming for a full 24 hours. At some point on Friday (or early Saturday morning), you should come check out the stream. Why now? To celebrate reaching 50 followers and affiliate status. We're actually getting closer to 100 at this point, but we're still celebrating the 50-follower milestone! To geek out with my new computer. I built it myself, but lately my work schedule has kept me from gaming as much as I'd like. This is a good excuse! To test for GP Portland the following week. I haven't played a standard tournament in years, so I need all the help I can get! To have fun, of course! Here's the schedule I'll be following. It's a rough outline at this point, but it'll be Magic: The Gathering most of the day, our regularly scheduled D&D in the evening, and then whatever will keep me awake through the wee hours of the morning! I'll have Soda Dungeon breaks (a great time-killer of a game that doesn't require a bunch of mental energy), and giveaways at various points throughout the day. Come join the channel and hang out! Yeah, I've been gone a while. I've barely written here this year, with only a handful of posts since 2017 began. I'm back, though, and the last quarter of 2017 is shaping up to be pretty exciting. There are some sweet projects in the works here at Outsyder Gaming, and I want to let you in on what's going on right now, as well as what's coming soon. 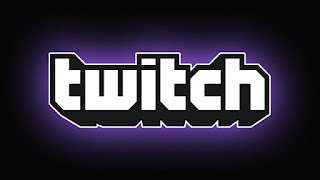 Most of the gaming I've done lately has revolved around Twitch, a website for streaming video games live. I fill my free time with these games on a regular basis anyway, so I figured it couldn't hurt to try this streaming thing out. I didn't have very high expectations, but it has been a blast! I'm playing the same games I'd be playing anyway, but now I get to interact with the Twitch community, and the people have been great. Nowadays I stream twice a week: Friday nights at 6:00 pm PST and Sunday mornings at 6:00 am PST. 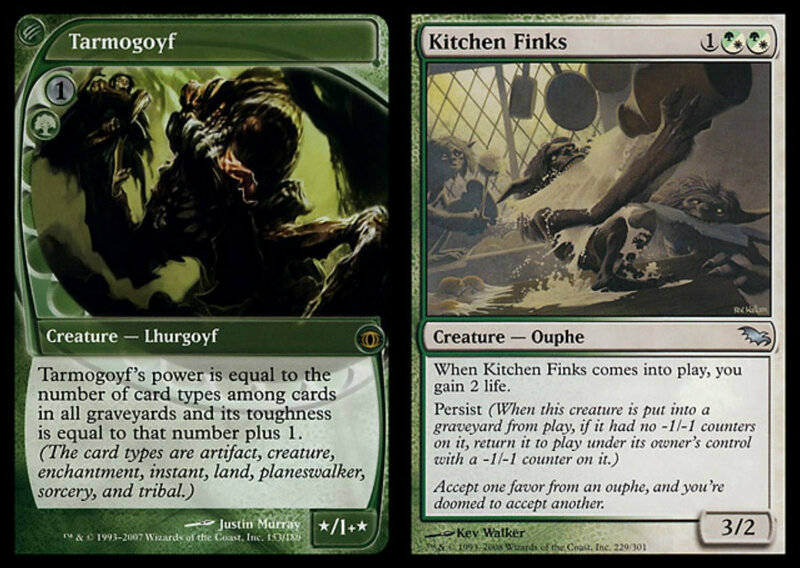 Sunday mornings I'm always playing Magic: The Gathering Online, and Friday nights alternate between MTGO and Dungeons & Dragons. A few months ago, I decided to resurrect my dormant Magic Online account and start streaming on Twitch. 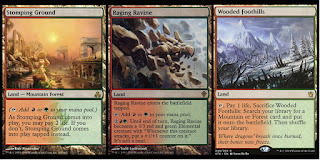 I have rarely played MTGO over the years, so even though I have a pretty respectable collection in paper, my resources online were quite limited. I’m making some strides toward playing more competitively online, and I want to share my strategy for getting there, and I want to invite you to share your tips in the comments below as well. Side Note: Please note that these tips are given with non-rotating formats in mind, particularly modern. Applying these strategies to a format like standard is unlikely to work. At best, it’s considerably riskier, as the format shifts much more often. That being said, let’s jump right in, shall we? Everybody starts out on a budget. 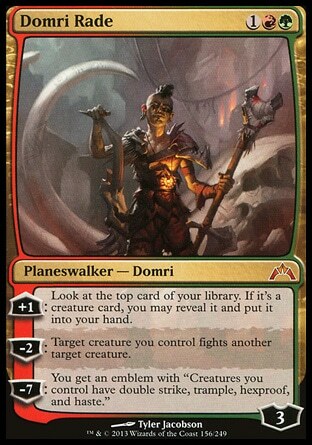 Sure, budgets vary, but it’s rare to see a player with enough cash to purchase an optimal list outright. Whether we’re just learning the game, just starting to play competitively, just getting into a new format, or building toward a new deck, most of us start with something sub-optimal. 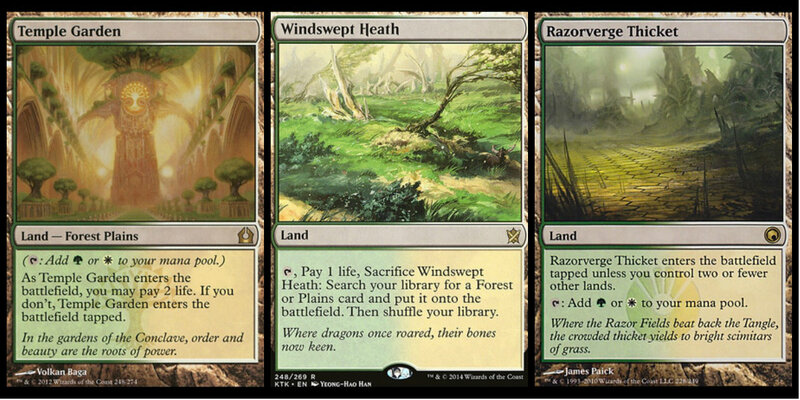 We challenge ourselves to be competitive without breaking our bank accounts, trying to find hidden gems or sideboard hate or budget brews that can give us an edge against the more mainstream competition... but there's only so much you can do, and even if you do find the magic sideboard tech that gives you an edge against the number one deck, you can only keep it a secret for so long. Other people will see what you're doing, or discover the same strategy on their own, and the format will adapt... leaving you right back where you started, trying to find an edge with limited resources. There was a time in my life that I enjoyed that challenge, but I'm over it now. Now I just want to find the quickest, most reliable way to move from my halfway-decent budget list to a more respectable tournament contender. 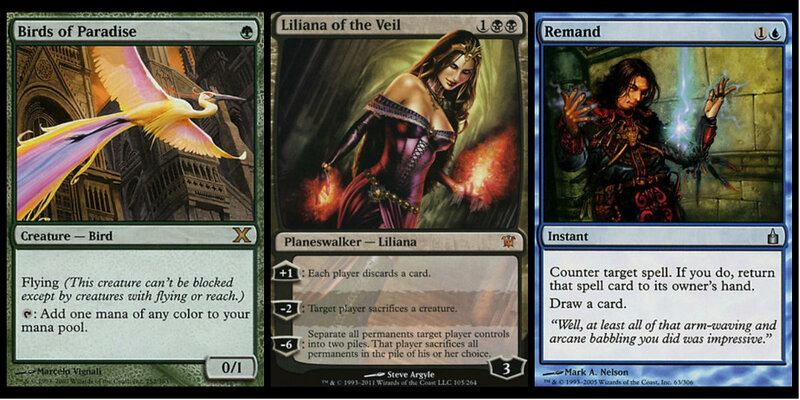 Unfortunately, a lot of Magic: The Gathering articles don't help with this much. There is a lot of disparity between budget entry points and winning tournament lists, and most strategy articles tend to focus on one extreme or the other. 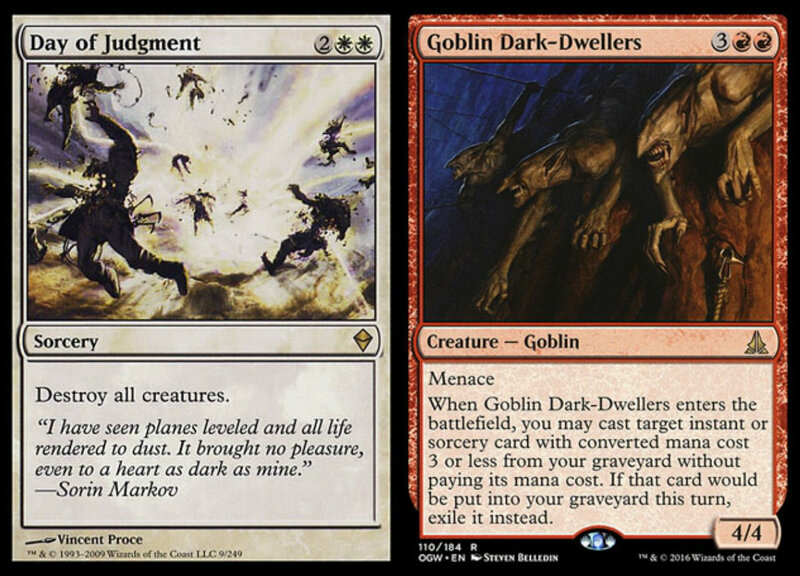 Articles about budget lists often have a section on, “How to Improve This Deck,” and occasionally a primer for a tournament list will have a section on viable replacements if you can’t afford the most expensive cards in the list. However, I’ve found that these tips are shortsighted at best. Improving your budget GB zombies list into the most competitive version of GB zombies still won’t leave you with a top tier deck. Similarly, running an incredibly watered down version of a popular deck is likely to just leave you unsatisfied. Find a powerful strategy that you can be satisfied with long-term. You’re slowly building up a hefty investment, so careful planning can save you a lot of cash (and headaches). Make sure the strategy you choose is one you enjoy. Building to it may take some time, and you don’t want to finally “get there” just to realize that you’re not enjoying the deck. To help with this, I recommend getting in some solitaire games using one of the many free tools out there (Cockatrice seems to be a current favorite, but I’m personally still attached to Magic Workstation). It's not actual competition, but goldfishing can give you a feel for how a deck plays out. If you can't find a particular list you want to play, that's okay too. Your goal doesn't have to be that specific, but it does help if you know the general direction you intend to go. 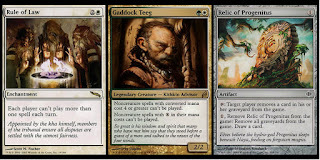 Choose an archetype (maybe a pair of colors and a general gameplan, for example), so you can focus on buying cards that will support that strategy. Maybe you like blue control decks, for example, so it’s obvious that you need to be picking up Snapcaster Mage and Cryptic Command . 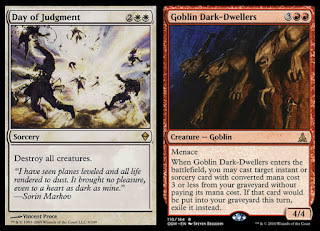 Or maybe you like really aggressive red decks, so you know you’ll be spending your money on Goblin Guide and Eidolon of the Great Revel . 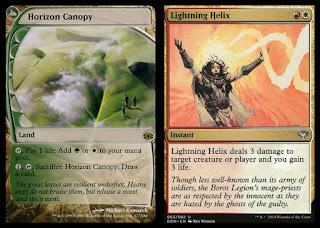 My goal is not a particular list, but a handful of lists that have a lot of overlapping cards. 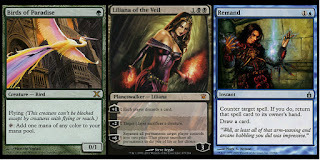 I’d like to be able to choose between Kiki Chord, Abzan Company, and Coralhelm Combo whenever I join a league. 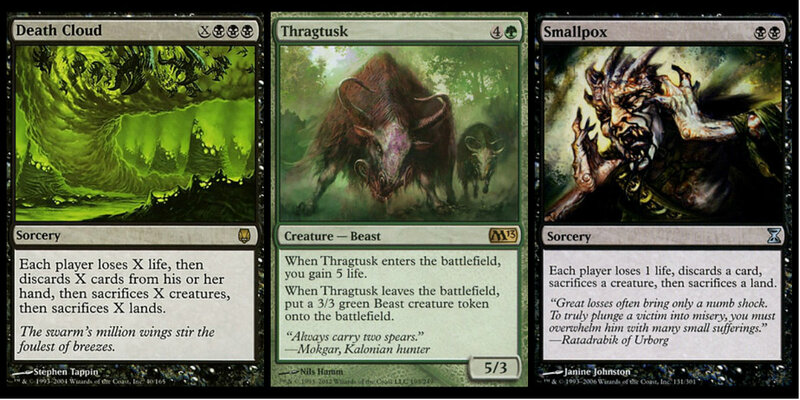 All of these are green-white creature decks that can be somewhat aggressive when needed, can grind out long games with resilient creatures, and can win with their respective combo backup plans. The key to these decks not breaking my wallet, though, is that the three decks have so many cards in common: Birds of Paradise , Noble Hierarch , Wall of Roots , Voice of Resurgence , Chord of Calling , Path to Exile , all the green-white lands, targets for various tutor effects, etc. Once I build up to one, it's not too much of a jump to get to the next one. Once you determine your finish line, it’s time to consider where you’ll start. 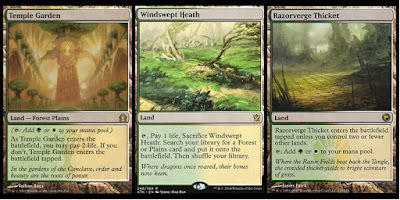 It might be tempting to just build a really watered down version of your desired deck, but I would advise against this. 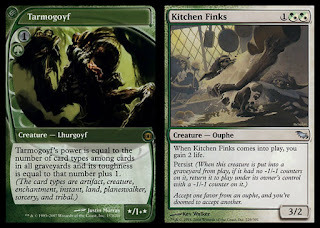 Say for example, that you love GBx decks, and you hope to be able to play classic Jund. 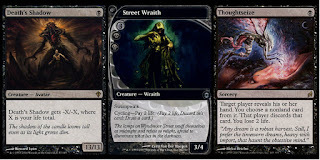 A watered down Jund deck might include Duress instead of Thoughtseize , Disfigure instead of Fatal Push , Liliana of the Dark Realms instead of Liliana of the Veil , etc. 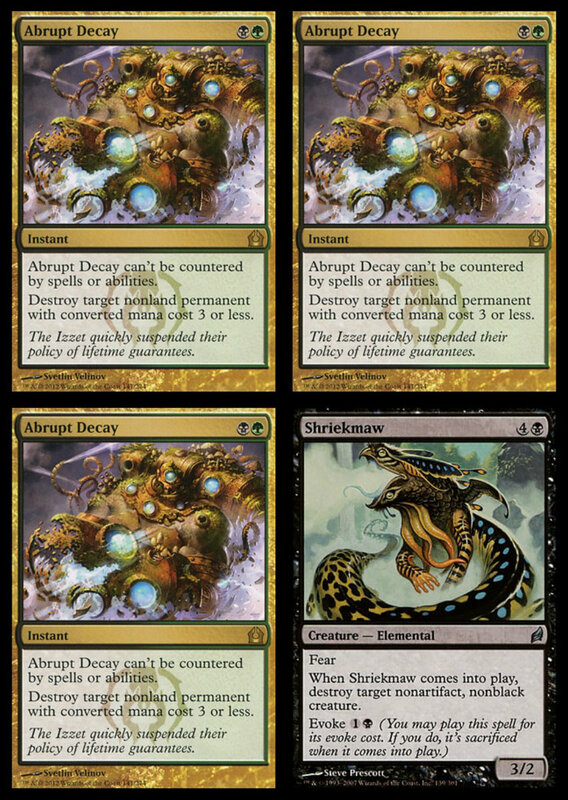 The resulting pile, however, has the same general strategy that Jund has, but lacks the powerful effects to actually accomplish that strategy when faced with stiff competition. In other words, it's just a mediocre deck in a field full of powerhouses. However, a deck like Death Cloud is super cheap, gives you a starting point in colors you enjoy playing, and has a powerful (if inconsistent) strategy of its own. The game plan itself is slightly different, but there is enough overlap (especially in the mana base), that you can start there and work your way up. 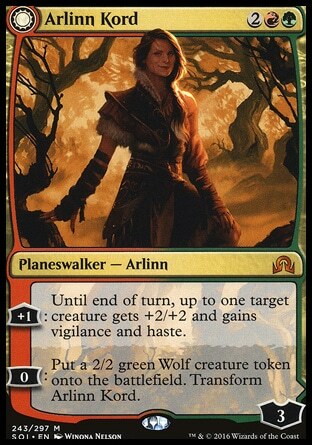 This is far more likely to get you started with some wins than playing Jund-lite. My personal starting point was just an old standard list that I ported over to modern, one that focused on Dungrove Elder and equipment. It cost me almost nothing to get started because I already had most of the cards from way back. 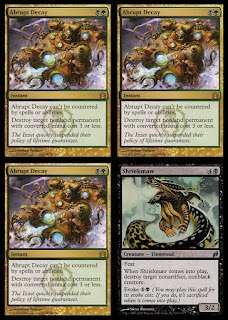 If you don’t have that convenient standard deck to transition to modern, though, it’s probably worth it to check out this list of budget decks. All of the decks on that page cost less than 100 tix, but most fall in the 20-40 range. There’s even one that can be built for less than a ticket, though… how crazy is that? There is likely a strategy that cost-wise falls somewhere in between your budget starting point and your end goal. 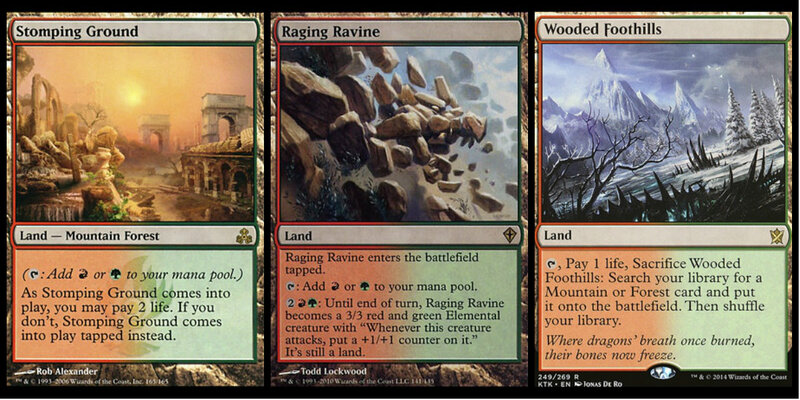 In modern, the highly played staple cards in each color (and color combination) make it relatively easy to shift between strategies once you've established a core card pool. Because of this, it is likely that as you accumulate cards for your end goal, it might take only a minor investment to build a different deck altogether that is more powerful than your budget starting list. 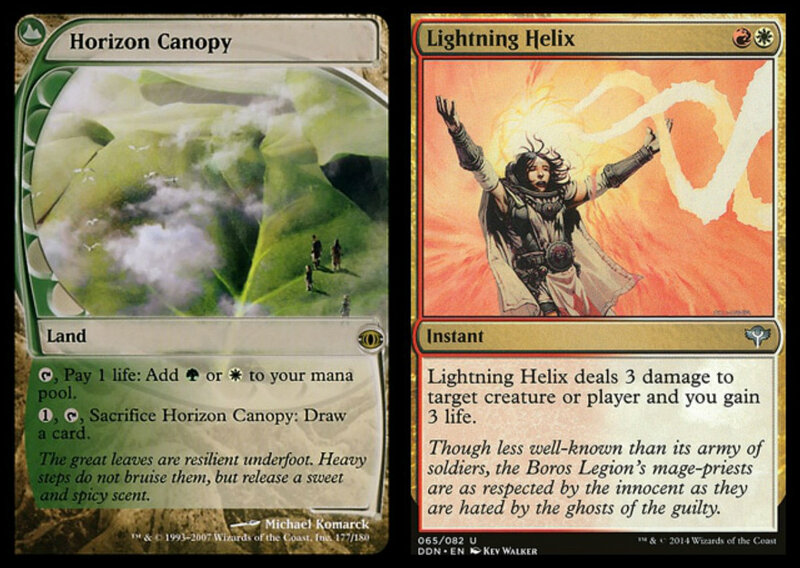 For example, if you start out with a blue-red list like Possibility Storm, and you’re building toward Grixis Delver, it shouldn’t take that much to sidestep along the way and pick up the essential cards for Storm Combo. You’re going to be building a blue-red mana base anyway, and there are a number of staple cards that overlap (various cantrips and countermagic, for example). So why not build Storm (a ~$200 deck) while you’re on the way to building Grixis Delver (a ~$400 deck)? There is a cost in waiting time, as taking a side trek into Storm country means you need to spend $20-$40 on cards you wouldn’t normally need. The exact amount depends on how willing you are to forego cards like Merchant Scroll that make the combo much more consistent but that aren’t absolutely necessary. Still, I think it's usually worth veering slightly off course, as long as the detour leaves you with a solid deck choice and not just another pseudo-budget option. 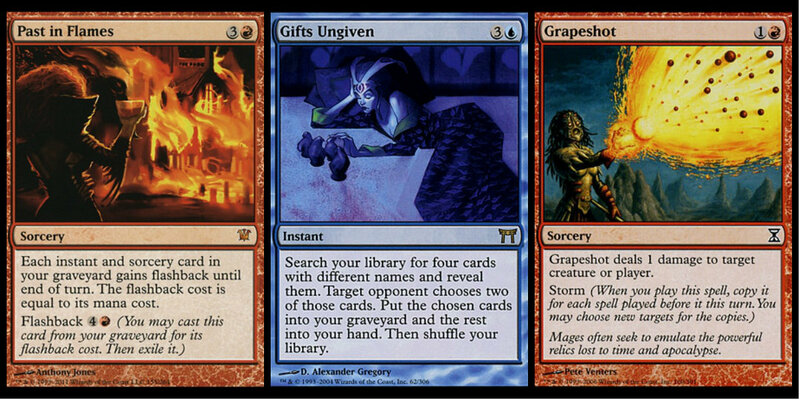 To continue with the blue-red example, it might be worth it to be playing a solid competitive deck for ⅔ of the journey rather than being stuck on Possibility Storm with a really consistent mana base. 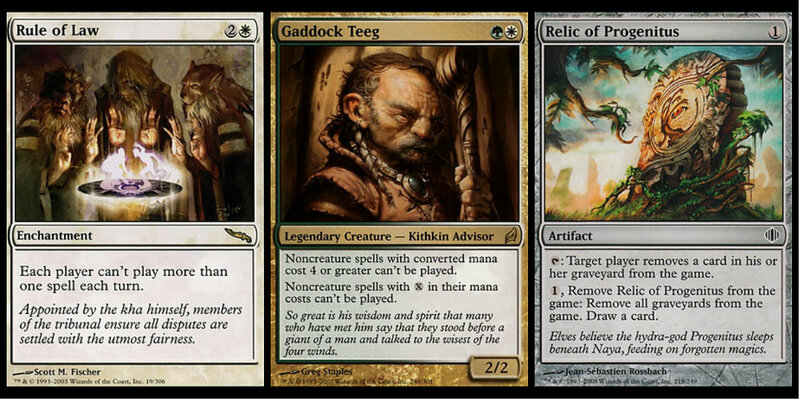 For me, the midpoint between Dungrove Elder and Kiki Chord is Troll Worship. This is a deck that is technically very budget-conscious (most versions ranging from 100-200 tix), but has so many cards in common with the three decks at my end goal, that I’m wasting almost no money at all to get there (aside from the 4 copies of Worship itself). Once your goals are set, it’s time to hit the ground running with that budget deck. 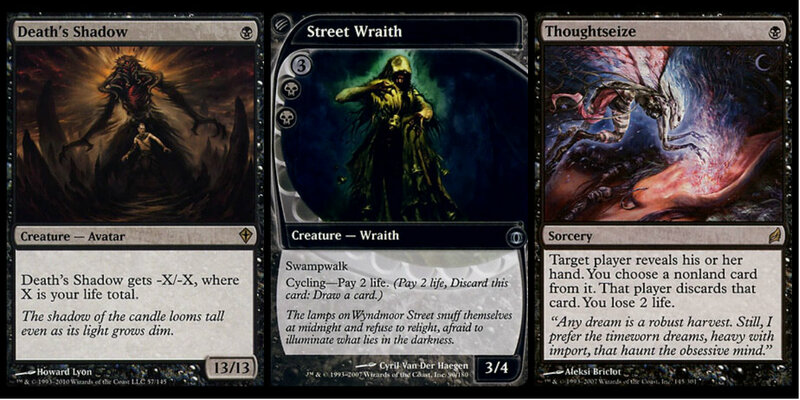 After all, the whole point of a budget deck is to get started sooner rather than later. So where are you in this process, and what's your budget deck of choice? Next time, I’ll share some tips on how to prioritize which cards to purchase, which cards to save until last, and when to get innovative. Until then, get out there and beat the odds with your 20 tix masterpiece!